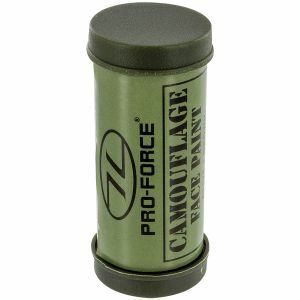 Blend into your surroundings thanks to Military 1st excellent selection of quality camouflage creams and camo paints. Exposed skin is a massive disadvantage in any combat situation. 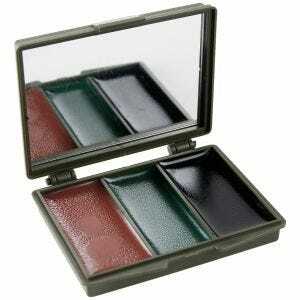 To avoid detection try one of our army face paints. Disguise yourself by covering parts of your skin on face, neck and hands, which are likely to reflect light, with an irregular pattern, using dark colours for bright areas and light tones for shadow ones. Remember to always coordinate the camouflage with your clothing, webbing and other equipment. Don't ignore your surroundings - match them using different variations of black, green, beige or white depending on the situation. 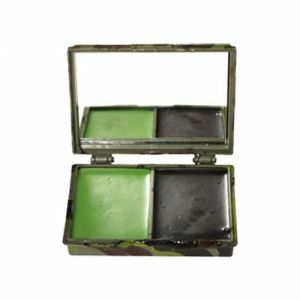 Our camouflage paints are easy to apply and remove, long-lasting and comfortable to wear. 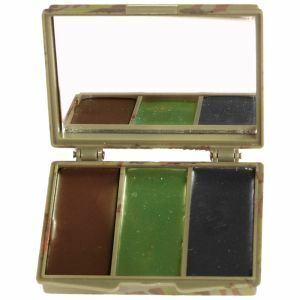 They also come in secure and compact packing for convenient transportation. 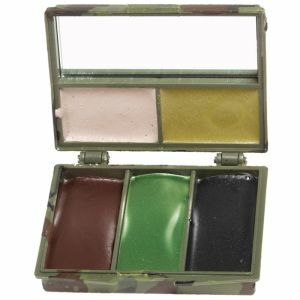 We offer a broad range of camouflage face paints, camo compacts with mirrors and camo sticks to compliment your combat uniform helping you to become one with your environment.